To ask other readers questions about Four Quartets, please sign up. T.S. Eliot’s Four Quartets are as apocalyptically-sound as his more well-known The Waste Land (at least in terms of bored freshman who, in the fullness of time, will most likely only dimly remember sludging their way through the poem in some requisite English Lit courses), but whereas the latter keeps its cosmic lens rolling on the ecological, religious and human desolation brought to the early 20th century by the wonders of Imperialism and Industrialization, the FQ, on the other hand, carpet bo T.S. Eliot’s Four Quartets are as apocalyptically-sound as his more well-known The Waste Land (at least in terms of bored freshman who, in the fullness of time, will most likely only dimly remember sludging their way through the poem in some requisite English Lit courses), but whereas the latter keeps its cosmic lens rolling on the ecological, religious and human desolation brought to the early 20th century by the wonders of Imperialism and Industrialization, the FQ, on the other hand, carpet bombs the idea of consciousness and its relation with Time and Being. Who would have guessed that having self-awareness could be such a terrifying notion? Using an effective array of techniques to get his point across—repetition of words, letters and syllables (usually in sets of three); spurts of faux-Middle English; Thesaurus-bending diction; a heady blending of up-to-the-minute psychology, philosophy and multi-religious allusions—Eliot’s poems reject the notion of Time as a flowing line and instead present the concept as a brick wall in which Being moves through or puddles about in a dizzying array of cross-currents. Movement is key to understanding the FQ with its many metaphors involving travel by sea, air and dirt. Published over a period of six years, the heft of these poems is not found in their narrative continuity, but in the revisiting of meditations that are clawed at again and again with Eliot’s lush and articulate narrative voice, all in the hopes of dispensing with notions of endings and beginnings as ways of thinking about anything. A poet/musician who is a good buddy of mine has been at me for months to read these poems, and all I have to say is that the dude knows what he’s talking about. 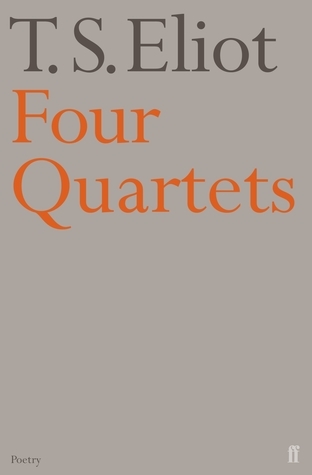 Four Quartets is a class-act display of poetic virtuosity that I hope to be repeatedly revisiting over however long a time I’ll be kicking around this mortal coil. I remember being at my first anatomy dissection as a demonstrator took this slim volume out of his pocket and said to me, in a room full of cadavers, "In my end is my beginning. Isn't that wonderful? TS Eliot. Do you know it? You must read it." If I'd read the scene in a novel I would have thought it contrived and overly theatrical. But I swear it actually happened. I’m always impressed by the influence of mediaeval mystical texts on 'Four Quartets'. This was the subject of a chapter in my thesis. These days, I would probably want to change some of the argument of that chapter, but I would not change the overall conviction that a primary concern of the poems was the maintenance of an almost intolerable tension between the w If you're into stuff like this, you can read the full review. This is the first record of my reading that I have not posted on this website in 6 and a half years. Yeah, gimme a minute on this one, guys. This type of poetry fills me with bewilderment of where was I till now and how it took me this much time to encounter something as brilliant as this! Apparently I haven't put this into Goodreads and thought I did. Ah well. This is really good poetry. Don't trust me. Go read it. It's not very long, and you can probably find it in 30 seconds on Google. Please go read it. That being said, it is rather astonishing. Eliot has this rhythm, which survives even in Prufock, and shines here. Themes from religion and nature and history. Heraclius and Marcus Aurelius and St. John and aphorism and myth, Pentacostal fire and the chanting advance of the Bhaga Apparently I haven't put this into Goodreads and thought I did. Ah well. That being said, it is rather astonishing. Eliot has this rhythm, which survives even in Prufock, and shines here. Themes from religion and nature and history. Heraclius and Marcus Aurelius and St. John and aphorism and myth, Pentacostal fire and the chanting advance of the Bhagavad Ghita. This stuff speaks to you. It has overly religious themes, which somehow seem very universal. History and the present moment. Written in the despair and fragile hope of the Blitz. This is something that I've been reading and returning to for more than 40 years. Few works are so intimately connected with my own life changes. Truly, all poems are read afresh with each reading: as oneself changes, the poems change. In the case of Four Quartets, I used to go o it for melancholy comfort, a vague spiritual longing too balmed with its reverberations of paradox and eastern thoughts while rooted in the soil of an East Anglian mysticism. I also found its original influence (along w This is something that I've been reading and returning to for more than 40 years. Few works are so intimately connected with my own life changes. Truly, all poems are read afresh with each reading: as oneself changes, the poems change. In the case of Four Quartets, I used to go o it for melancholy comfort, a vague spiritual longing too balmed with its reverberations of paradox and eastern thoughts while rooted in the soil of an East Anglian mysticism. I also found its original influence (along with Auden et al) on me towards Leavisite cultural pessimism now reflected back, refracted rather, through prisms of my own beginnings and ends. I have swerved away from both such indulgences, especially the second which I now feel as naive and elitist. Regresso a um dos mestres maiores, tão completo nesta sua modernidade sem afectações. Well, that's what I think's wrong with formal examinations. - notgettingenough, Review of "The Marijuana Papers"
Consumed by either fire or fire." T.S Eliot's poems are musical and spiced with sentimental preaching. A short book of just 48 pages. This book is a set of four parts "BURNT NORTON", "EAST COKER", "THE DRY SALVAGES", and "LITTLE GIDDING" which reflects the rigorous spiritual and philosophies that preoccupied within the poet. I was extremely lucky to get the chance to read this book. A gem of a book! A true gem that should be appreciated. I left the library in extreme awe from the great literary masterpie Eliot's True Masterpiece! T.S Eliot's poems are musical and spiced with sentimental preaching. A short book of just 48 pages. This book is a set of four parts "BURNT NORTON", "EAST COKER", "THE DRY SALVAGES", and "LITTLE GIDDING" which reflects the rigorous spiritual and philosophies that preoccupied within the poet. I was extremely lucky to get the chance to read this book. A gem of a book! A true gem that should be appreciated. I left the library in extreme awe from the great literary masterpiece I had just read. An all-time-favourite, definitely. پس زجر را کدام کس ساخته است ؟ عشق ، عشق نام ناآشنایی ست ، پشت دستانی که پیرهن تحمل ناشدنی شعله را ببافند . پیرهنی که نیروی انسانی توان کندنش را ندارد . او باریده ی آتش یا آتش که فقط ما می زی ایم و دم می زنیم . یک کتاب خوب از الیوت با ترجمه ی نسبتا خوب . Just beautiful! This set of poems deserves many readings. La parola che mi viene in mente per questa opera è prodigio : non immaginavo che temi così astratti, così ineffabili e metafisici potessero divenire materiale poetico e con quali splendidi risultati estetici, visionari e musicali! Non ho le competenze per una disanima critica di questo libro meraviglioso, vera pietra miliare della letteratura moderna: e impossibile mi è anche scegliere tra The Waste Land e questi Four Quartets. E poi percepire come tutto sia parte di una struttura perfetta che allaccia il proprio inizio e la propria fine, dimostrazione meta-letteraria di ciò che Eliot asserisce in quelle stesse righe. Non ho potuto che pensare a Borges e alla sua capacità di rendere letteraria la metafisica. Consumed by either fire or fire." - Section 4 of "Little Gidding"
Now over the whole period of listening/reading this poem I have been wondering how I would review such a personal and colossal statement as this. So I will do my best to simply say what I felt or my interpretation of this poem overall instead of going into elaborate detail about each section which is what I planned. The 'Quartets' are based on the elements air, water, wind, and fire; the main themes are time, God, history, and death (and England). And these themes are expressed in each poem differently. This poem, especially when we get to "East Coker", is for Eliot his defining work of him "coming-out" as a Christian (which was, in the circles he hung out in, not very popular) and it seems as though he is trying to tie in the elements of his ante- and post-Anglican self together in this one work (he had already "announced" his new found religion in Ash Wednesday which I sadly haven't read yet) and I think he pulls it off well, much to some people's, then and now, disdain. Again, in spite of that, we call this Friday good." - From section 4 of "East Coker"
Eliot being a long time Dante fan can't resist finally feeling able to truly stand close to his idol; and like Dante, T.S. Eliot has his own non-Christian but very much respected hero of literature make a guess spot in this poem, though instead of the Roman Poet Virgil we have the Hindu god Krishna show up in "The Dry Salvages" to warn against simply wasting time about baseless personal gains of the future instead of following divine will. But fare forward, voyagers." - From section 3 of "The Dry Salvages"
Is England and nowhere. Never and always." So I will confess while this won't out-shine The Waste Land for me, but it is fast becoming a favorite of mine and is an instant masterpiece for me. No reason why you shouldn't read it no matter your feelings about Eliot. If you read this to yourself out loud and slowly, it will echo in your head the rest of your life. I think it will last forever. Four Quartets is one of the most astounding pieces of writing I've ever encountered. It may start off strange and esoteric, but it becomes more and more familiar through the reading, until you feel almost as if you are experiencing Eliot's journeys and musings instead of reading a poetic result of them. It builds upon itself in the most transparent yet masterful ways. An incredible experience for me as a writer and a thinker. Of the petrel and the porpoise. In my end is my beginning." If I knew less about European history and Christianity, I probably wouldn't get the subtle points of the writing. Eliot's rhythm and universal themes balance the rest out, but I'll probably need to come back to it. My favorite work of Eliot's. Fica um descampado ou uma fábrica ou um desvio. Osso de homem e bicho, haste de trigo e folha. E abanar o arrás em farrapos lavrado com uma divisa silenciosa. Honestly there are still many lines that I still can't manage to decipher. guess I will need to read the commentaries as well. But these pieces were so amazing. James Joyce famously accused TS Eliot of plagiarizing from Ulysses in his "Waste Land." And some have made the case that the Cad (who can be seen as a usurper) in Finnegans Wake is either or both at the same time Joyce dethroning Yeats or Eliot threatening Joyce. As with anything in Finnegans Wake it is likely that it has multiple meanings, both intentional and potential. I'm not going to argue that Eliot "plagiarized" from Joyce (that's a strong word), nor am I going to defend him so much. Before diving into the third chapter of Finnegans Wake I picked up TS Eliot's Four Quartets and as I read it FW was constantly on my mind, both works embracing similar philosophies regarding the role of time and each making fair use of Eastern religious and philosophic points of view, marrying East and West. Joyce's river is feminine. Eliot's river is masculine, but both serve the same functions. In both works, the beginning is the end and the end is the beginning, they are circular. The son comes from the father and is always (even before life itself) contained in the father and continues on the life of the father when the father's night has come. A new dawn shines and the cycle continues ad infinitum. 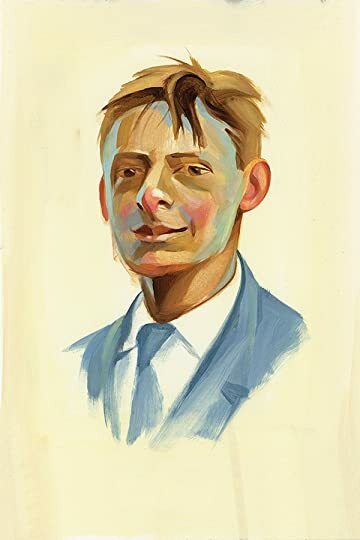 There are certainly similarities between the works of Eliot and the works of Joyce, but just because Joyce came first does not necessarily make everything he came up with entirely his own. Joyce also borrowed heavily from his influences and all art it could be said involves some degree of "plagiarism." As Mark Twain writes, "When a great orator makes a great speech you are listening to ten centuries and ten thousand men — but we call it his speech, and really some exceedingly small portion of it is his. But not enough to signify." Eliot said at one point that he regretted ever having read Ulysses and writes famously that it "is a book to which we are all indebted, and from which none of us can escape." It's certain that Eliot borrowed from Joyce, that he like many others has been crushed by the weightiness of Joyce's art. He borrowed at least as much as Joyce or Shakespeare or any number of other great artists, but he also (as they did) added enough originality to his work that it shall undoubtedly stand the test of time, and the four poems (some of his last published verse, though written much earlier) contained in Four Quartets should be considered as seminal as "The Waste Land" and "Prufrock." 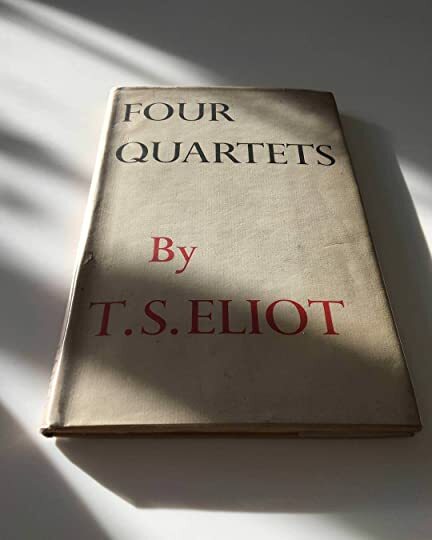 TS Eliot’s Four Quartets is a set of four (or, indeed, twenty) poems that, like musical quartets, have separate but interconnected and complimentary themes. Written as Eliot was pointedly developing his Christian identity, Eliot used as his inspiration locations that had personal meaning for him. The Four Quartets produce a profoundly spiritual reading experience. A spiritual mediation on existence contemplated in shades of light and gloam, Four Quartets is beautiful, concurrently haunting and illuminating. A book I'm not going to rate until I read it at least ten more times. I don't explicitly understand 95% of it; the majority of my understanding is intuitive. That is Eliot's great strength—leaving room for intuition. I feel like I have been drug through a room of great mystery or as if I have skimmed a book of semiotics written by a mystic. I feel full and empty at the same time. Mystical and mystified. Ugh. I'll read some commentaries shortly and hopefully gain some insight. *Interested to look A book I'm not going to rate until I read it at least ten more times. I am consistently impressed with Eliot's use of language. My goodness, does the man know how to write a poem. While I'm not a huge fan of all the Anglican imagery, I was absolutely floored by at least one passage in each of the large sections. Eliot displays some incredible poetic craftsmanship, which was especially evident to me in The Dry Salvages, but was obviously present throughout the work. There is no doubt that Eliot is a master craftsman. I absolutely loved the way that images and phras I am consistently impressed with Eliot's use of language. My goodness, does the man know how to write a poem. While I'm not a huge fan of all the Anglican imagery, I was absolutely floored by at least one passage in each of the large sections. Eliot displays some incredible poetic craftsmanship, which was especially evident to me in The Dry Salvages, but was obviously present throughout the work. There is no doubt that Eliot is a master craftsman. I absolutely loved the way that images and phrases kept returning and changing across the work, adding meanings and taking on new connotations with each repetition. I feel like that varied repetition gave the poem a very organic feel, like Eliot was thinking through things and trying to figure out the very things he was explaining. That conversational, stream-of-consciousness style really keeps The Four Quartets from feeling too pedantic or weighed down with Anglican symbolism, and preserves a sense of integrity throughout. My first experience of Eliot's interlinked poems was through an old vinyl recording of Alec Guinness reading them. Although I was all of seventeen, and understood little of what was being said, the impact upon me was huge. I knew that some of the poems were written during the Second World War and that they were steeped in Christian mysticism, and so set out to learn more about them. I have now lived for thirty years with these poems, committed whole swathes of them to memory, and studied Eliot's My first experience of Eliot's interlinked poems was through an old vinyl recording of Alec Guinness reading them. Although I was all of seventeen, and understood little of what was being said, the impact upon me was huge. I knew that some of the poems were written during the Second World War and that they were steeped in Christian mysticism, and so set out to learn more about them. I have now lived for thirty years with these poems, committed whole swathes of them to memory, and studied Eliot's writings at university. Now I see read these poems not so much as an attempt to explain (and justify) the via negativa of the Christian mystical tradition (with some Hinduism thrown in), but as reflections on the failures of old age and the evanescence of time as our expectations, hopes, and dreams gutter and die. They feel to me deeply humane and humble, in spite of their occasionally grumpy and frequently magisterial pronouncements on history, eternity, and faith. When I heard an Eliot scholar compare Four Quartets to Chartres Cathedral, I chuckled to myself and thought the man smitten. But after reading the poems repeatedly and subjecting the edifice to a thorough inspection, I think the man was right. This is the work of a poetic architect, a craftsman who joyfully builds whispering galleries in places where martyrs come to die. Eliot's theology seems cumbersome at times, but I think his theological position is less dogmatic than many think. There are m When I heard an Eliot scholar compare Four Quartets to Chartres Cathedral, I chuckled to myself and thought the man smitten. But after reading the poems repeatedly and subjecting the edifice to a thorough inspection, I think the man was right. This is the work of a poetic architect, a craftsman who joyfully builds whispering galleries in places where martyrs come to die.